In ground: To ensure efficient drainage, gravel must be used to a depth of 300mm beneath the housing. The plastic end cap prevents ingress of concrete during installation. All the fittings are supplied with 5m cable. Single Mini units are supplied pre-wired with cable with remote gear, recessed box, plastic end cap, connectors and 3 way connection box. Mini kit luminaires are individually pre-wired with cable and supplied with an 8 way connection box, containing gear and connectors – including a specific connector for through wiring. If a single LED fails, the other system LEDs continues to operate. Connector has LED failure alerting display. Two versions: One has 3 glanded cable entries 2 x PG13 (in) and 1 x PG9 (out), the other 8 glanded cable entries 2 x PG13 (in) and 6 x PG9 (out). 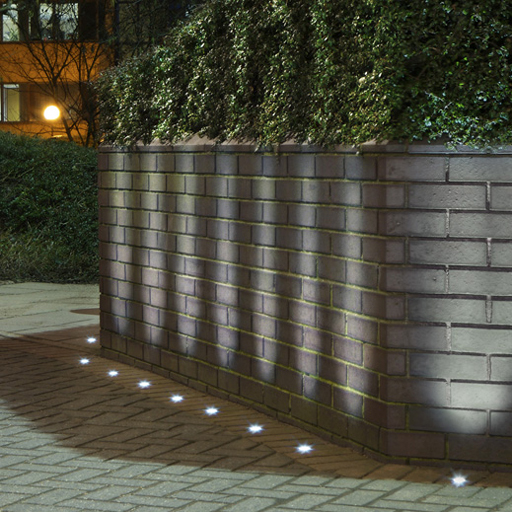 Round, walk-over recessed luminaires in 3 sizes, pre-wired with 5m cable, with recessed box and stainless steel frames. 3 LED colours: cool white 4000K, warm white 3000K and blue. Sealed to IP68 for the Mini size and IP67 for the Medium and Maxi sizes. For ground installation with transparent glass enclosure for illumination or frosted/dome windows for guidance. 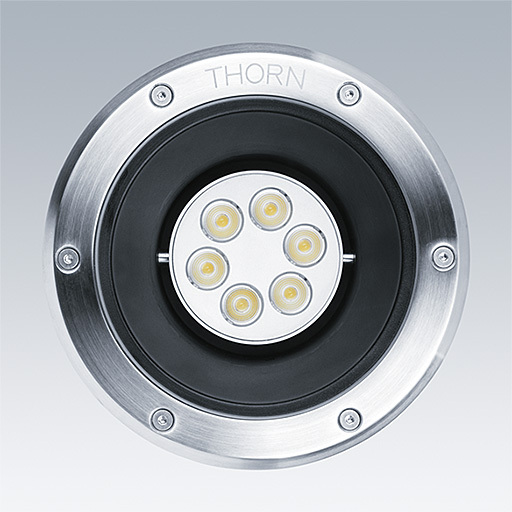 As Thorn D-CO LED outdoor recessed.